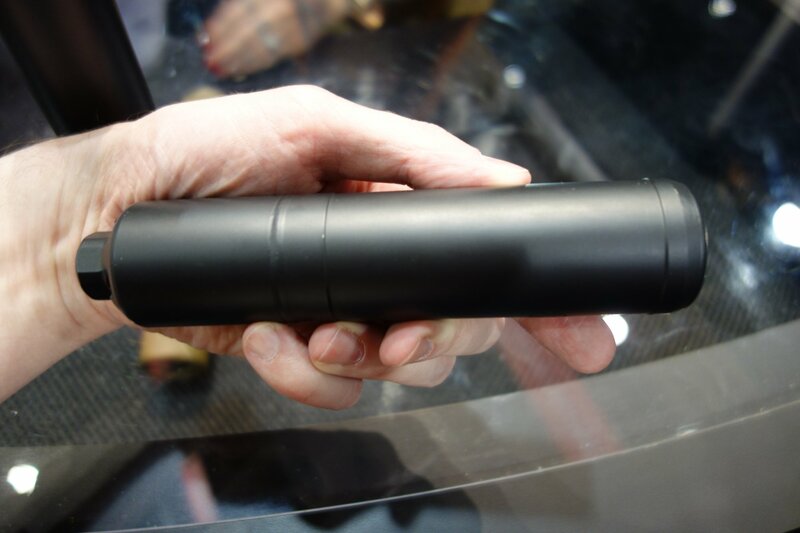 Latest and Greatest AAC Fast-Attach Muzzle Cans (Silencers/Sound Suppressors) and 90-Tooth Mounting System: SR-5/SR-7, AAC 762-SDN-6, AAC 556-SD/762-SD, 90-Tooth BLACKOUT Flash Hider/Suppressor Mount, and AAC Ranger-3 Direct-Thread Screw-On Can (Video!) | DefenseReview.com (DR): An online tactical technology and military defense technology magazine with particular focus on the latest and greatest tactical firearms news (tactical gun news), tactical gear news and tactical shooting news. 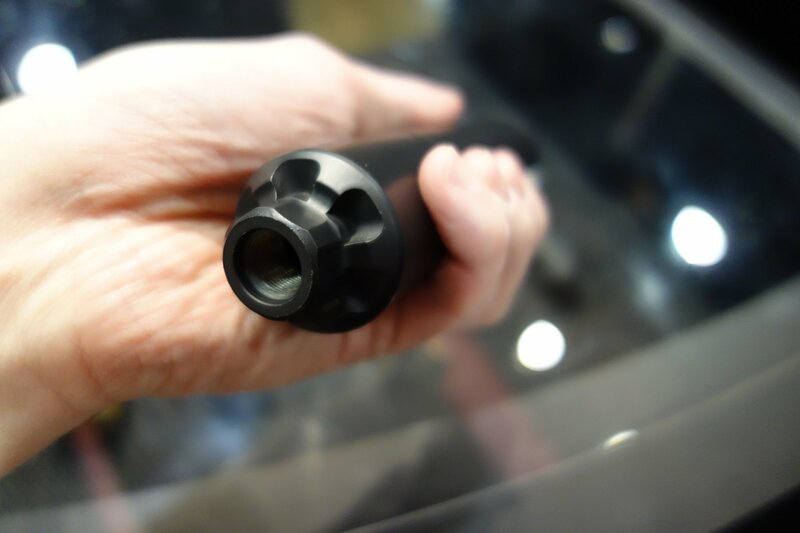 The AAC SR-5 (5.56mm) and AAC SR-7 fast-attach cans mount onto the new 90-tooth “Ratchet Taper” mount featuring a conical bearing surface and 90-tooth gear, along with a different threat pitch on the AAC BLACKOUT (pingless/ringless) FLASH Hider to minimize point-of-impact shift, and thus opimize the host weapon’s accuracy. 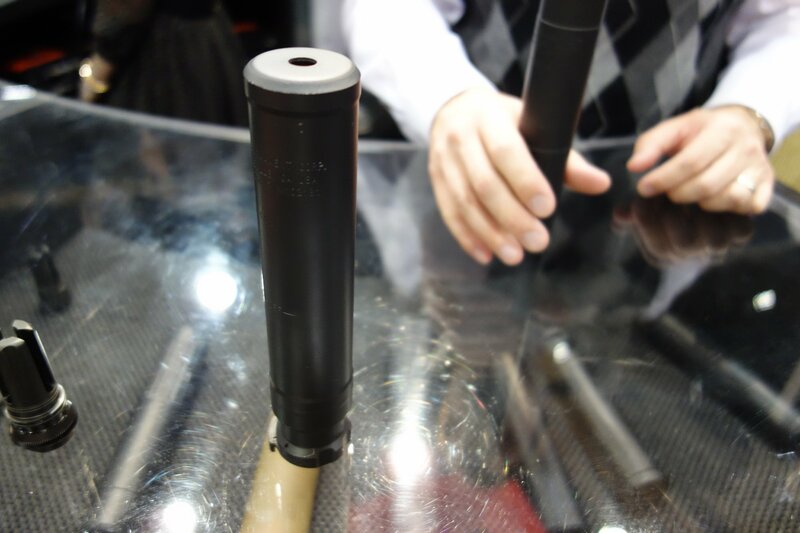 The SR-5 weighs in at only 17.5 ounces (17.5 oz), is 6.7 inches (6.7″) long, and has a diameter of 1.50 inches (1.50″). The larger SR-7 comes in at only 19.6 ounces (19.6 oz), 7.6 inches (7.6″) and 1.50 inches (1.50″) diameter. 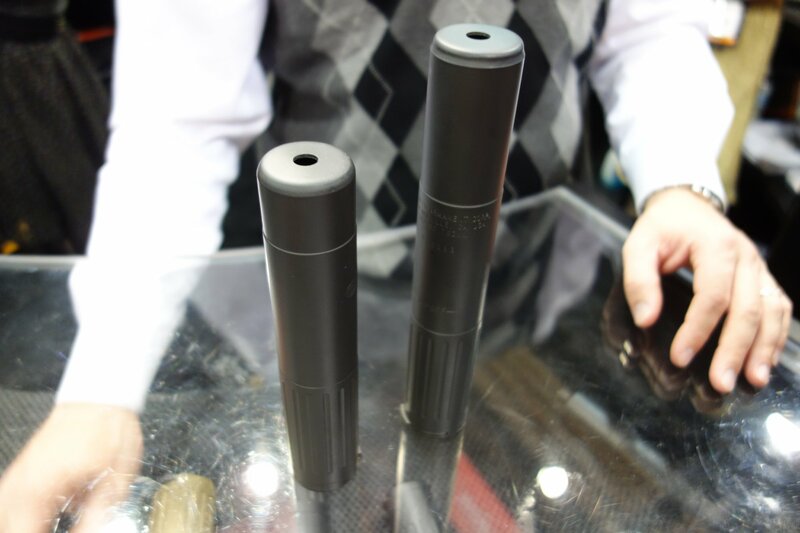 Both cans feature an all-Inconel 718 baffle stack and 316L stainless steel housing/outer tube. The SR7 can of course serve double duty as a 300 Blackout (300BLK), 6.8 SPC (6.8x43mm SPC), and 5.56x45mm NATO can, if necessary. Defense Review is making an educated guess that the AAC SR7 is Remington Defense’s suppressor of choice for the new Remington CSR “Rucksack Rifle” breakdown/takedown manpackable sniper carbine, which we covered in the previous article. 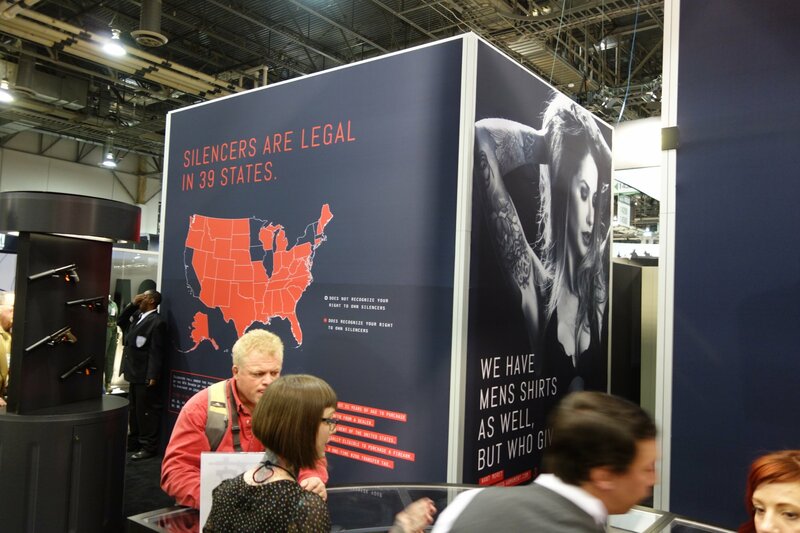 We’ve also mentioned the SR-7 can, itself, before, specifically in a piece primarily covering AAC’s 300BLK tactical AR weapons/upper receivers, when we saw and handled them at SHOT Show 2012. 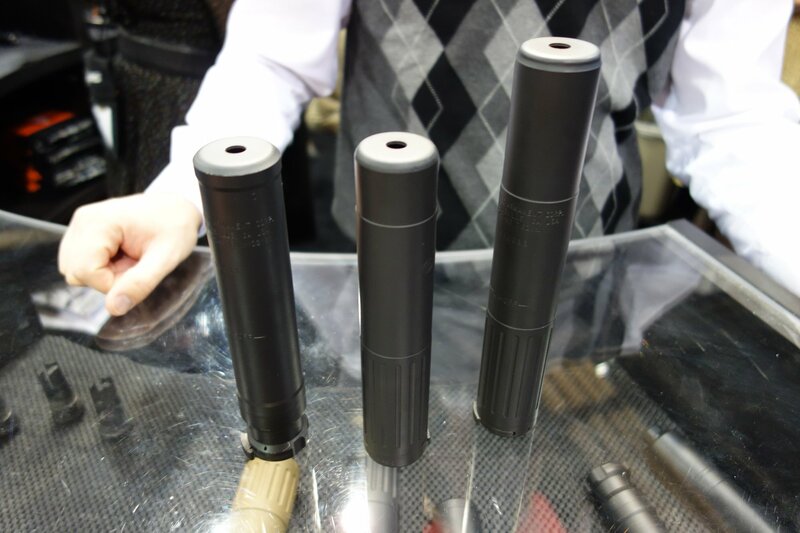 The AAC 762-SDN-6 7.62mm fast-attach can returned in 2014 with “improved durability and performance”, according to the company. It’s measurements are as follows: 23 oz., 9″ long, and 1.50″ in diameter. The baffle stack is, again, all-Inconel 718, with a 316: stainless steel housing/outer tube. 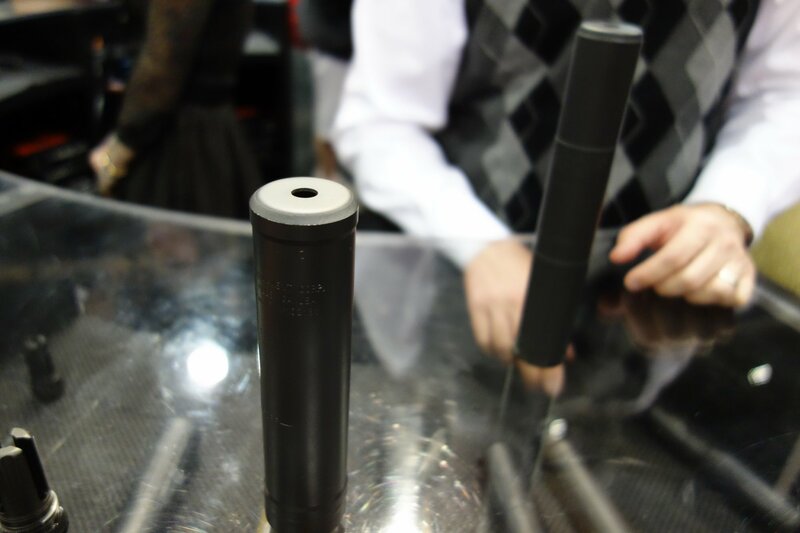 Just like with the SR-7, the 762-SDN-6 can be used on 300BLK, 6.8 SPC and 5.56mm host weapons. The the AAC 556-SD and AAC 762-SD are the oldest and least expensive of the fast-attach bunch, but they still offer an all-Inconel 718 baffle stack. They mount on a 51-tooth mount at a $650 retail price point. The 556-SD weighs 18 oz., is 6.7″ long, and has a 1.50″ diameter. The 762-SD is 23 oz., 9″ long, and 1.50″ in diameter. 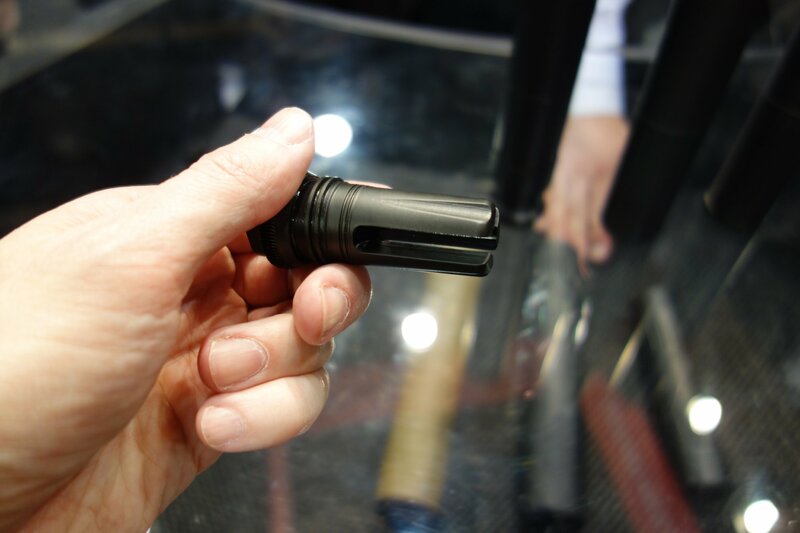 Last up is the AAC Ranger-3 direct-thread 5.56mm can. 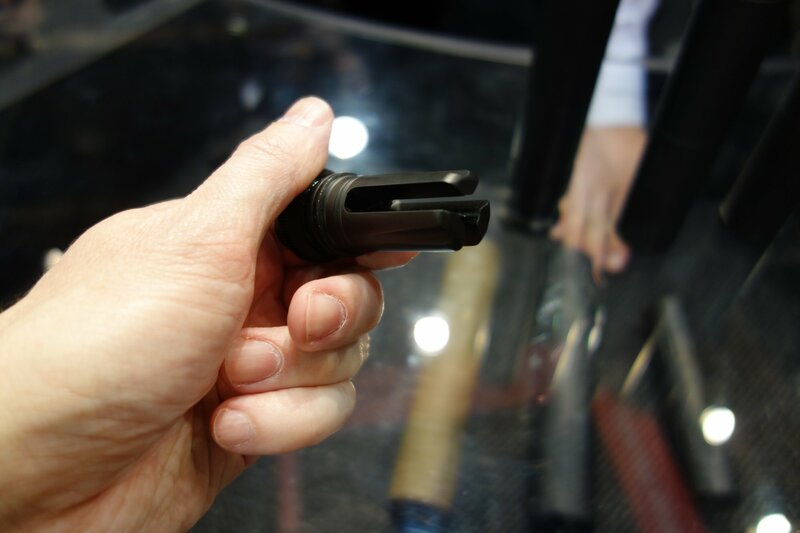 According to AAC, the Ranger-3’s ½-28 direct-thread mount has been “significantly restyled and redesigned to be stronger, lighter and easier for users to ‘pin and weld’ the suppressor to short barrels.” The Ranger-3’s baffle core is circumferentially-fusion-welded. Muzzle can measurements are 13.8 oz., 6.00″ long (but only 4.20″ added to the host weapon’s length when mounted), and 1.50″ diameter. Remington R-51 9mm Single-Stack Compact/Sub-Compact Pistol (7+1 Rounds) with Sliding Trigger for Concealed Carry (CCW) Cursory Analysis: The Pederson Action Makes another Run in the R51! Remington Military Rebuilding/Refurbishing U.S. Military Sniper-Used M24 Sniper Weapon System Sniper Rifles for Non-Military/Commercial Sale. Very Interesting. 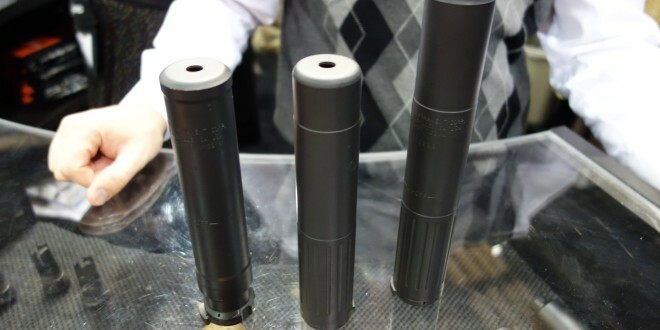 Bravo 18 Zero-Back-Pressure MG Suppressor (ZBPMGS): Full-Auto-Rated Octagonal Machine Gun Silencer/Sound Suppressors for Assault Rifles and Machine Guns: More Accuracy, Less Stress–and No Mirage! Next: 70th Anniversary of World War II (WWII) D-Day Invasion: A Great Big Thank You from DefenseReview (DR)!